2. Why did you do this? 4. What versions of Windows and Word does it work on? 5. Where can I get the utility and instrucations? 6. What are the Page Setup Options in the Wordpage configuration file? Doing this by hand for each Word document takes time. A simple PHP script is edited and a command line PHP command is executed. It would be wise to use the information on this page on a backup copy of your Word documents and not your only source. 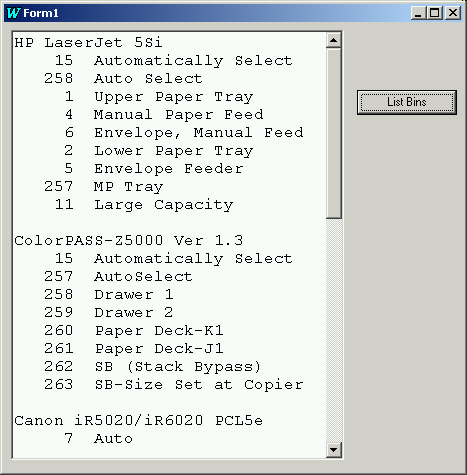 List-bins.exe provides a Windows GUI interface to get the locally installed printer driver bin value words.